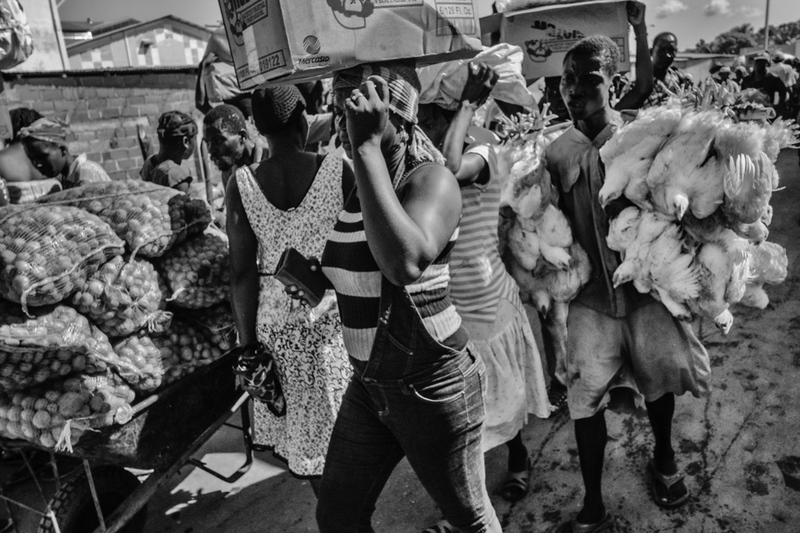 Dajabon is a town in the northeast side of the Dominican border with Haiti; market days are Monday and Friday. 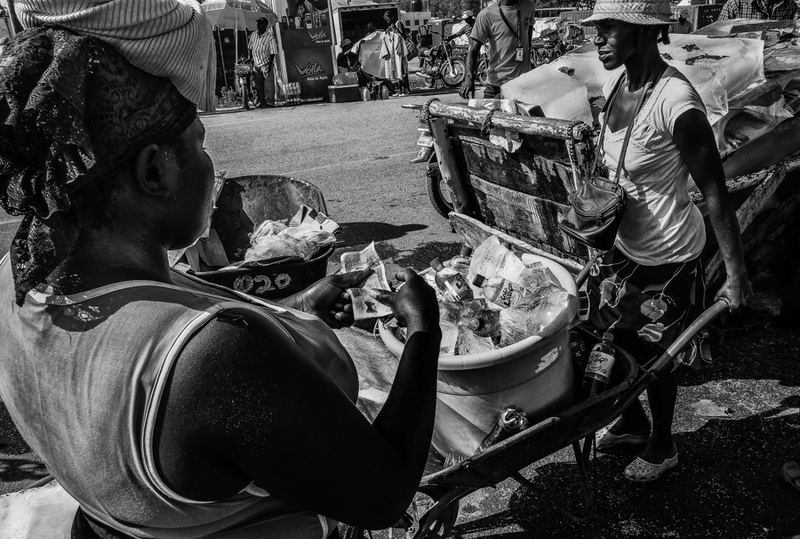 Figures of goods sold to Haitians are around US$ 1.5 million dollars each market day. 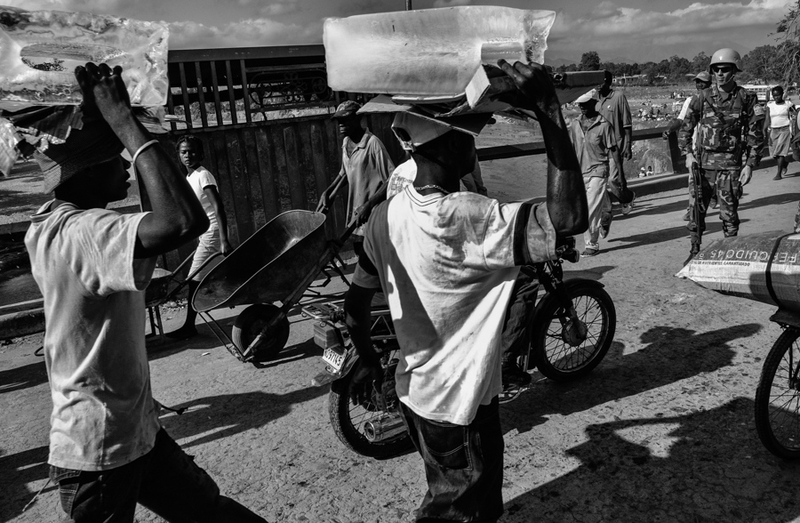 I had been working in the border documenting it and the living conditions of the migrant Haitians workers, for more than four years. 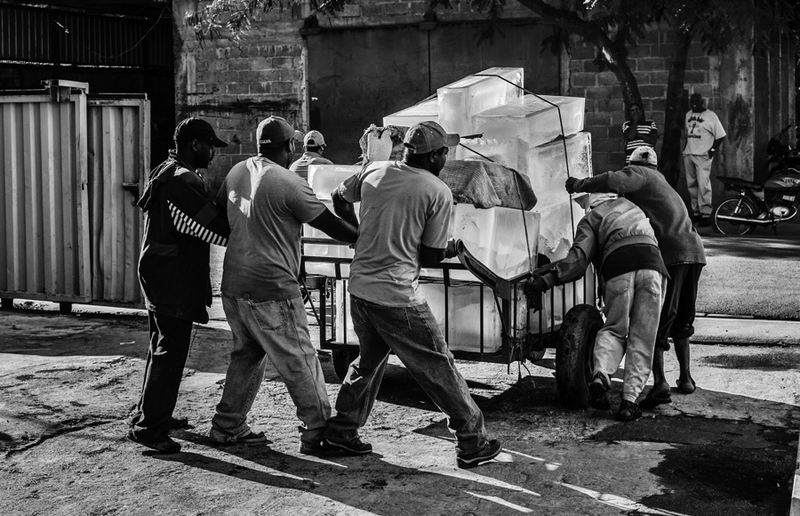 That Haitians come to Dominican Republic to buy ice, strike me as symbol of how awful things are in Haiti; technology to produce ice it is not complicate at a basic level: electricity, refrigeration, and water. 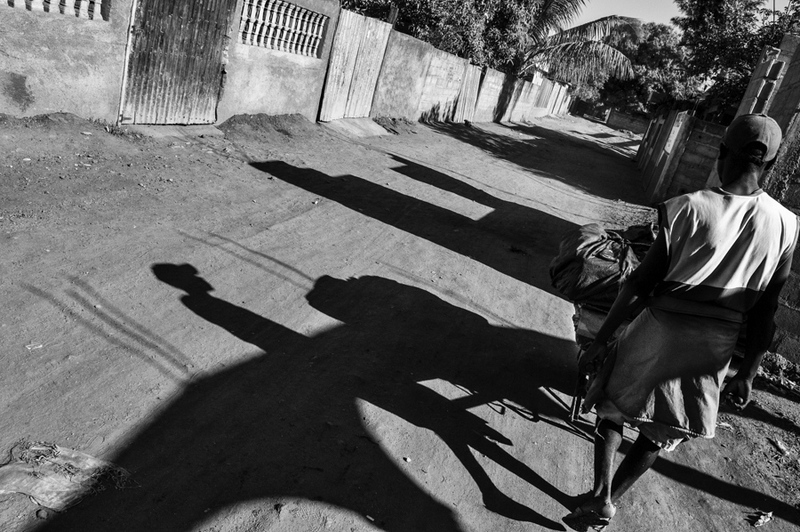 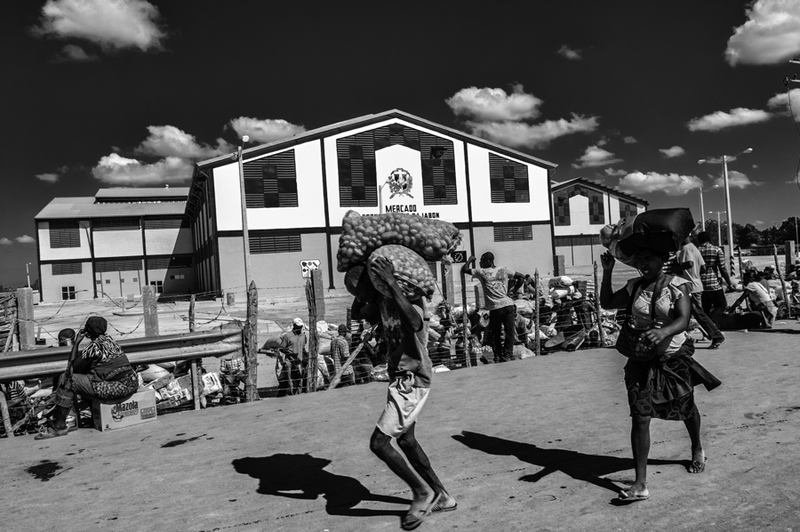 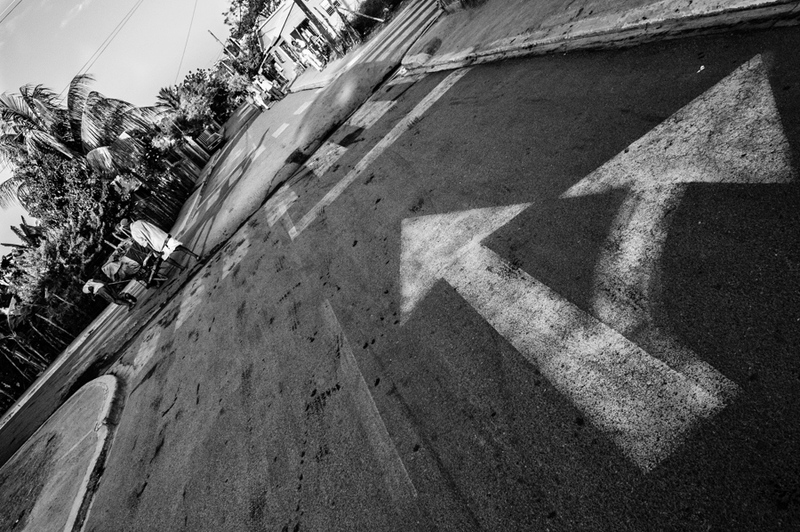 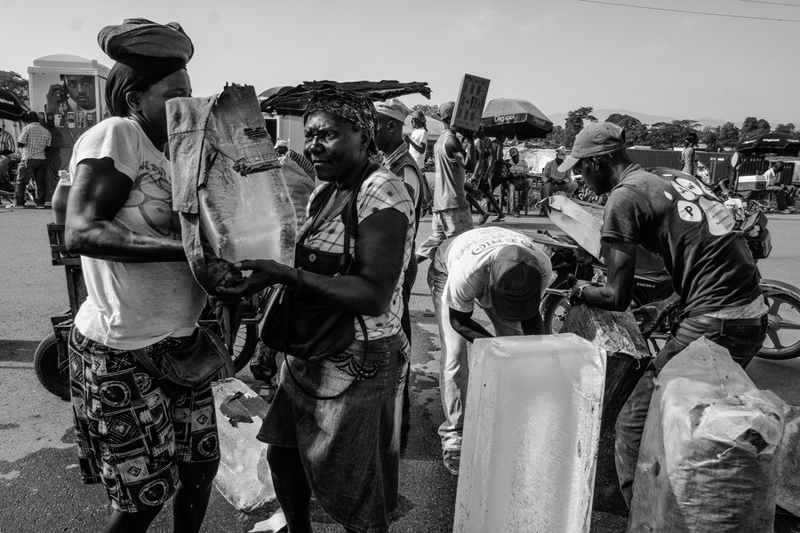 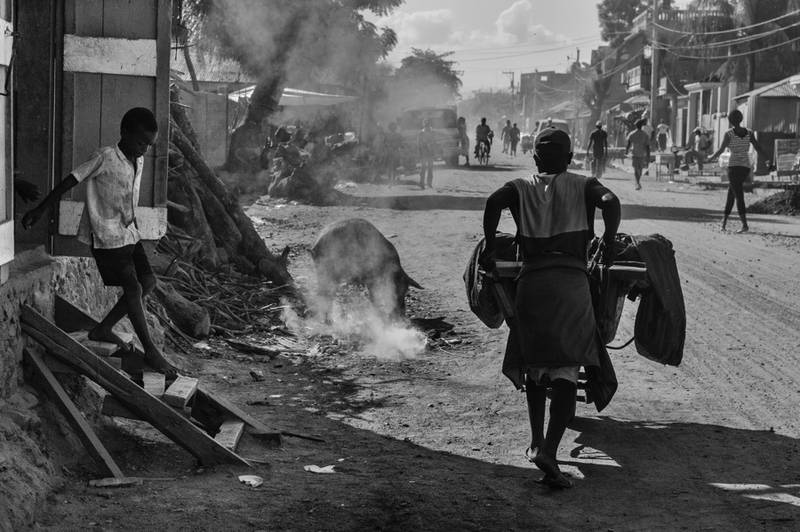 The Haitian town of Ouanaminthe is on the other side of the Masacre River, two bridges connect this town with Dajabon, but one is open only for the purpose of the market. 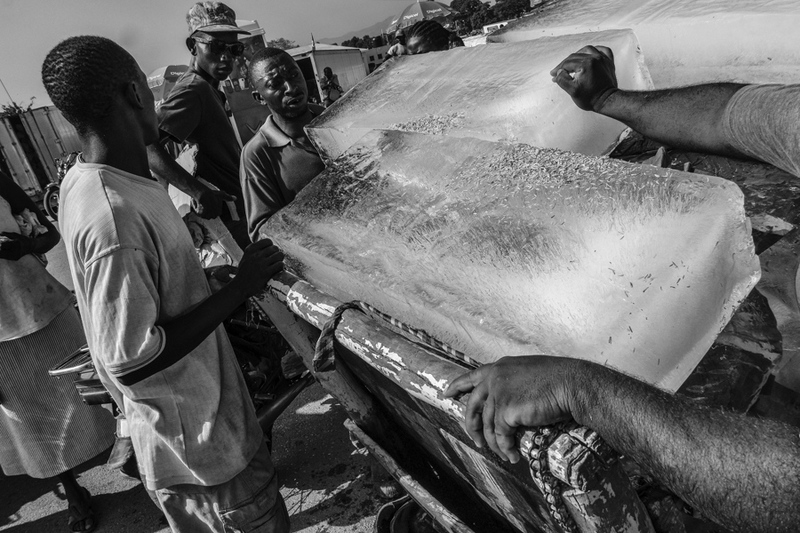 I followed Fallace Tati in his daily ice selling in Ouanaminthe, he comes to buy ice blocks, and sometimes he comes with his nephew, Joan to help him pull the wheelbarrow, until he can manage the weight by himself. 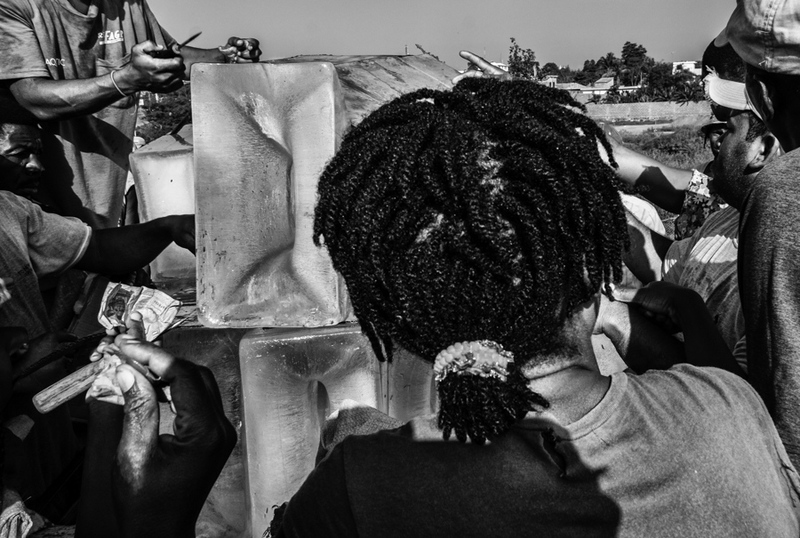 A block weights approximately 100 pounds each. 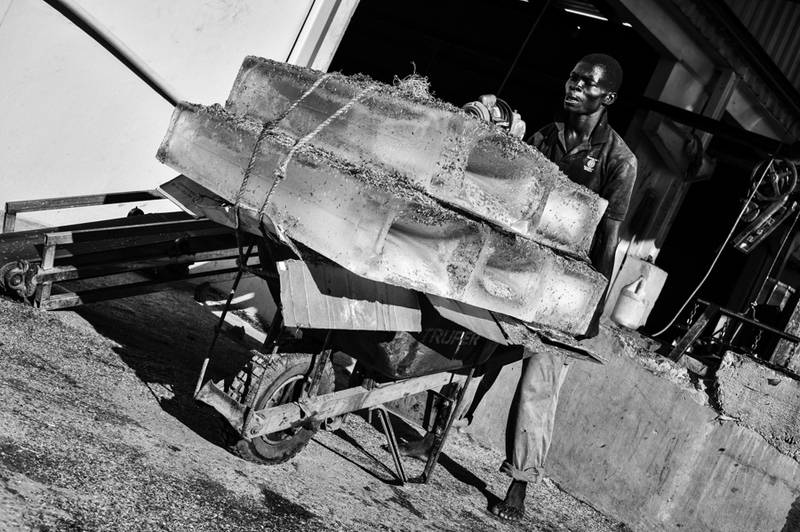 He prefers to cover his ice with a tarpaulin, instead of sawdust, which is use when it is carries to a depot. 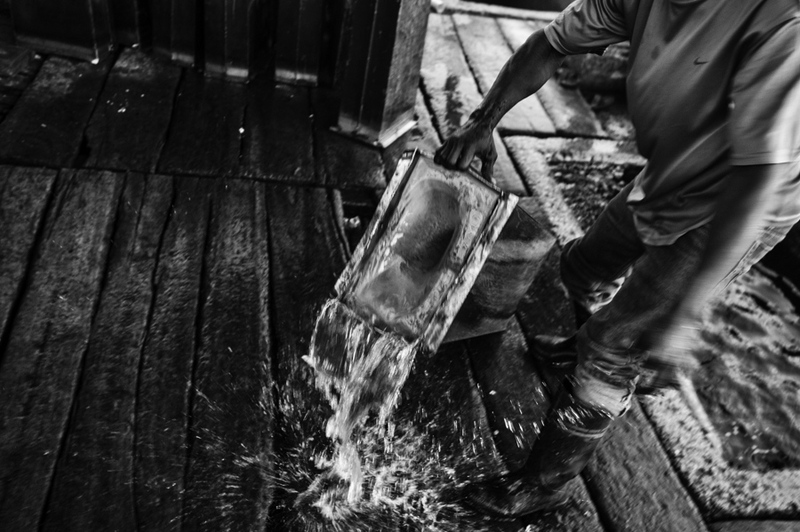 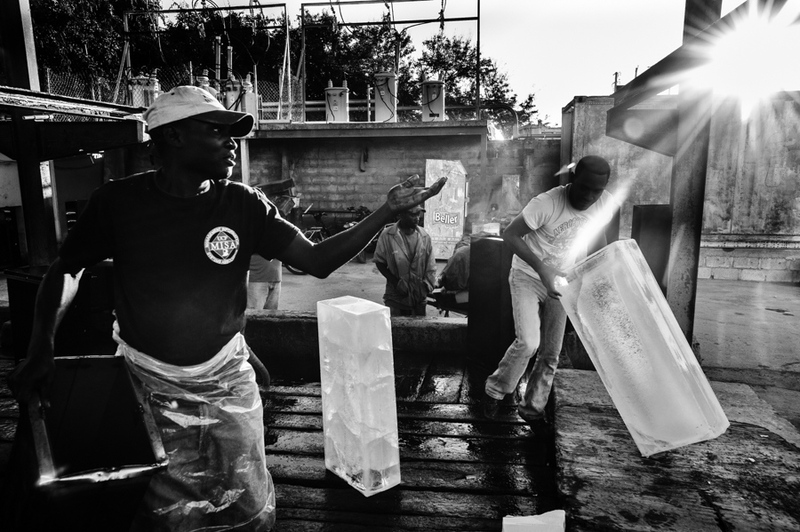 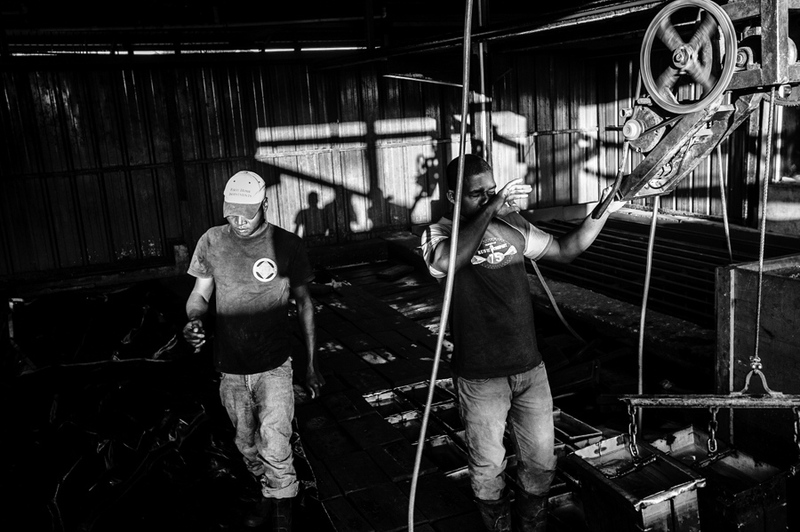 Tati buys the ice from the Beller Ice factory in Dajabon and resells them to a few regular customers, sometimes people buy a chunk of it to take home; his profit is around US$ 8.00 to 11.00, a small fortune in his country. 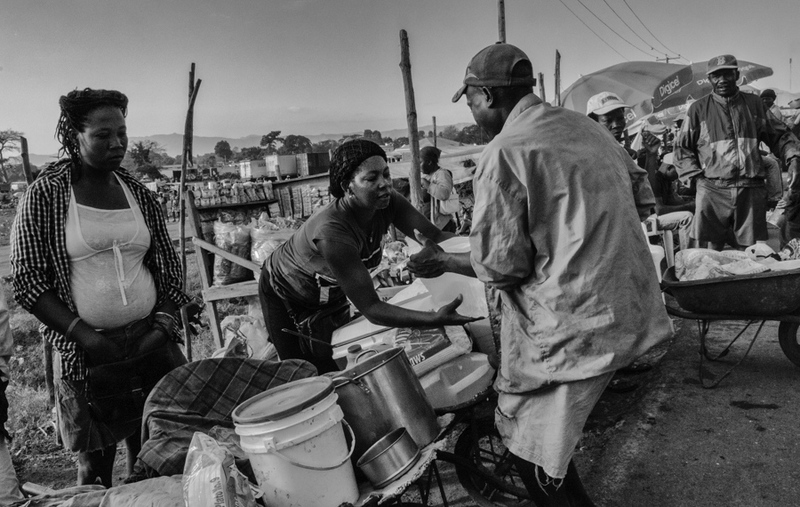 Most of his clients are people who sell food and beverages, other are small stores. 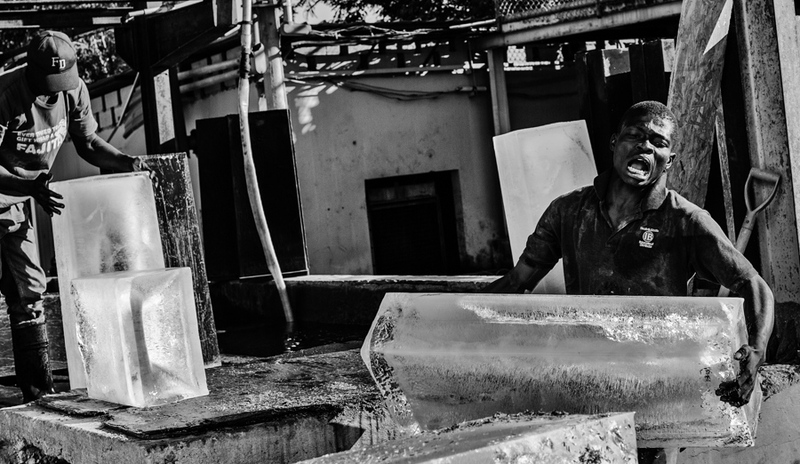 Although the stores are connected to the electrical power system of Ouanaminthe, the hours of electricity are not long enough to produce ice or do not have the voltage need it to make the refrigerator work. 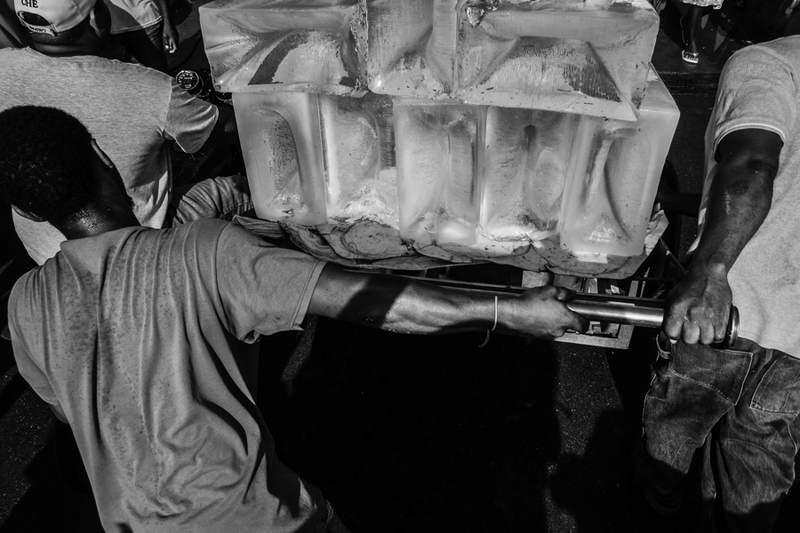 He is in the ice factory at around 6:25 AM, buys his ice blocks and head to the border, and waits for it to open at 8:00 AM. 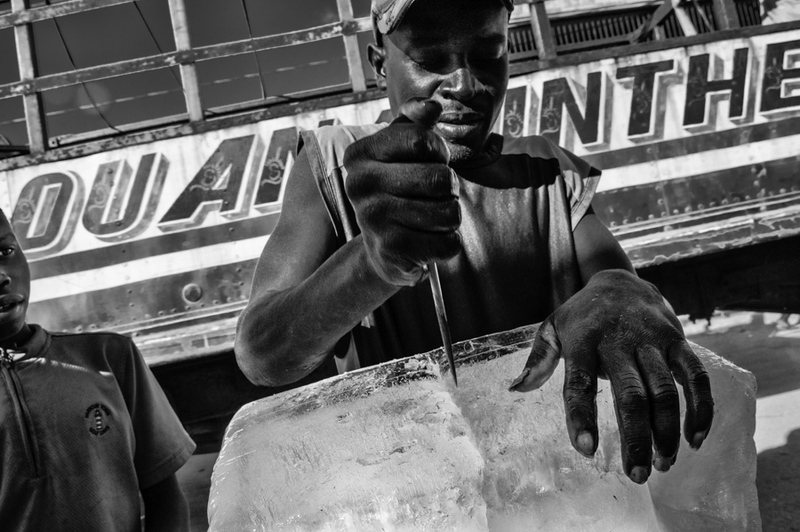 His first clients are locals Haitians that sell food in market days and beverages, from there he goes to a small hotel, a store; most people buy half or a quarter of the block, which he measure by hand and cuts quickly with a makeshift ice picker. 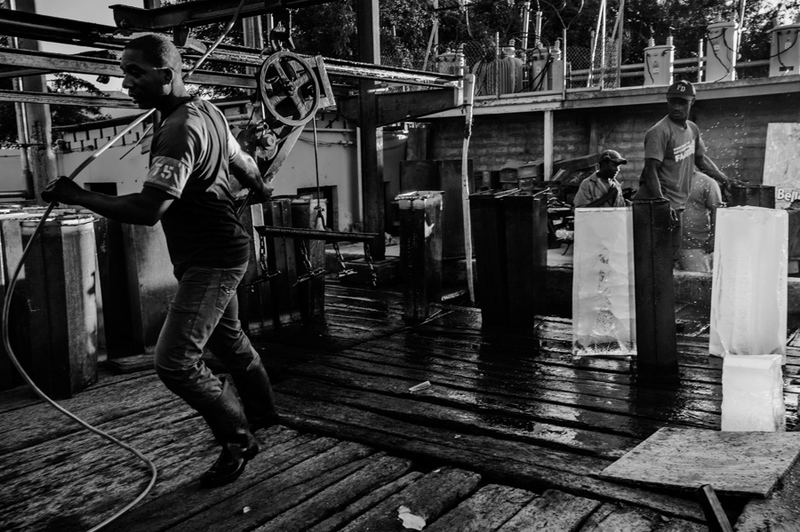 He moves swiftly, because his merchandise is highly perishable; before noon he is done. 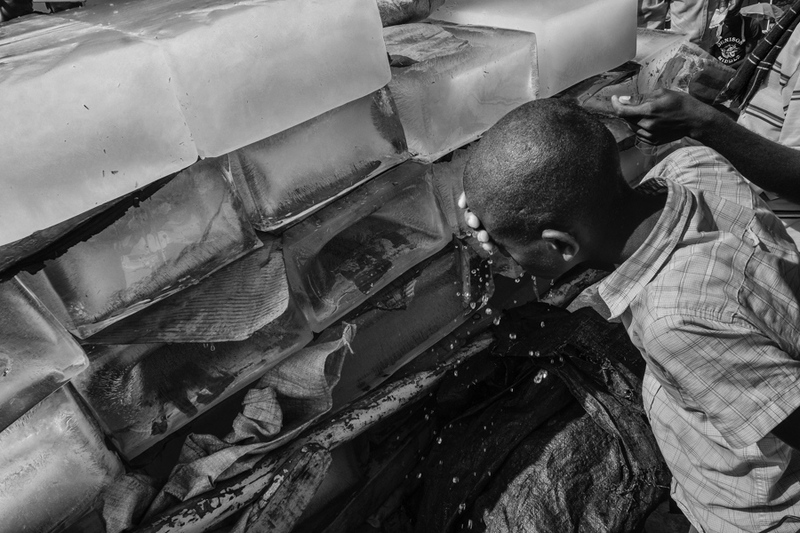 Always, he keeps a portion of the ice for his family and his sister who lives next to him.